Sphero's droids normally cost around $200, but this R2-D2 lookalike is on sale for a fraction of that. Normally I fill this space with tips about the hottest deals on Apple’s own products, but for this Friday, let’s have some fun, shall we? 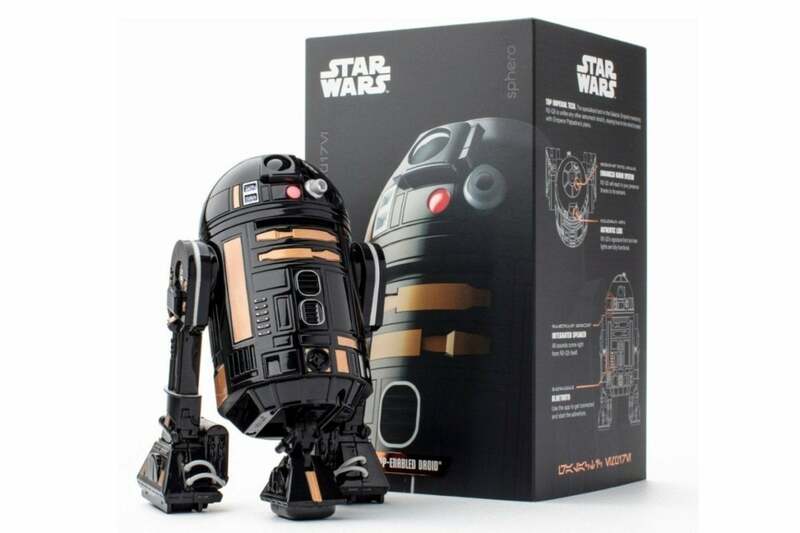 Today Best Buy is selling the R2-Q5 app-controlled droid from Sphero for just $50, down from the original price of $200. For a bit of comparison, it’s currently selling for $84.99 on Amazon (and there are a few left in stock). If your dad’s anything like me, it’ll make a great Father’s Day gift. In essence, R2-Q5 is a black-and-copper R2-D2, which makes it the perfect way to celebrate the upcoming Dark Mode in macOS Mojave. (And here you doubted that I’d find an Apple angle.) This little guy’s actually canon, too, as he got a bit of time on the big screen way back in The Return of the Jedi. The bot stands about 10 inches tall and four inches wide, and you can pilot it around the deep space of your living room with the help of an app on either your iPhone or iPad. He beeps. He boops. He even has lights that blink on and off, but sadly, I highly doubt he can relay messages from exiled princesses on desperate missions. For that matter, the existing buyers seem to love the little guy, particularly for the sturdiness of its construction and its all-metal design. And hey, think of it this way: It’s a good way to pick up a droid without hopping on the Google train.